The cold weather you endured last year nearly broke you. This time around, you have been searching for some cheap beach holidays over Christmas time so that the time you spend with your family this holiday season will be one remembered for its fun, laughter and hijinks under the warm tropical sun, and not for skidding all over icy roads, shoveling snow, and bundling up under multiple blankets and sweaters. Fortunately, the tropical zones throughout the world are rife with sandy paradises that abound with shady palm trees, coconut-infused cocktails, and with water that is so blue that it seemingly glows. The trick is figuring out spots that are cost-effective for every dollar/pound/euro that you spend on holiday. The following beaches adhere to this philosophy, allowing you to travel to these dream destinations on amazing Christmas beach holidays without having to check into the poorhouse upon your return home. 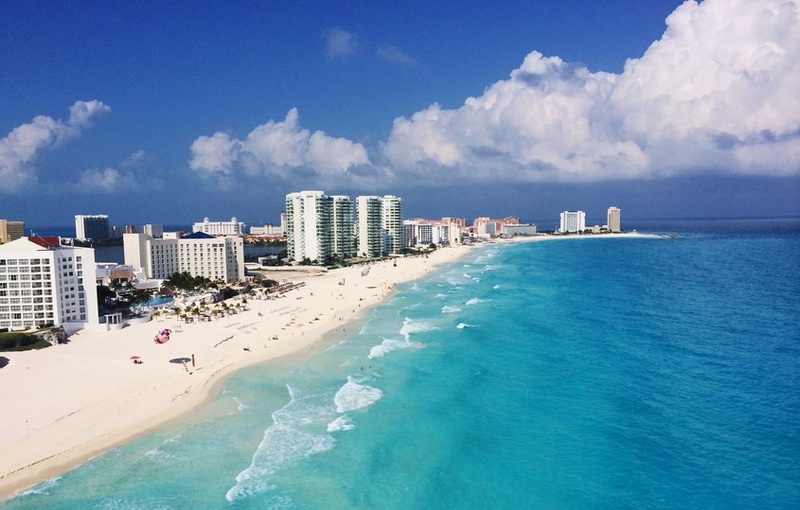 If it is a lively, extroverted party you are after, then spending your holidays in Cancun is by far your best choice. The life-loving nature of the Mexican people can only help to enhance your experience here, and with the Hotel Zone boasting a constantly rotating series of entertainers and DJ’s in its countless bars and nightclubs, your nights after a leisurely day spent lounging on the powder white sands of Cancun’s beaches will be filled with external stimulation and cheap cervezas. Ole! Being one of the first purpose-built resort areas of the Dominican Republic, the locals are well-accustomed to catering to tourists, making for a comfortable getaway amidst one of the larger islands in the Caribbean. If you have had enough hours in the sun or on a jet ski here, then alternate activities in the area also include seeing the Domincian Republic’s version of the Christ the Redeemer statue, seeing marine animals at Ocean World, or tackling 27 tiers of short waterfalls on a canyoning adventure! Seeking a touch of luxury for your Xmas holiday? Saint Lucia, one of the windward islands in the eastern Caribbean delivers it in spades, as it is home to countless high-end resorts, complete with perfect beaches that have an astounding view of the scenic volcanic twin peaks, Gros and Petit Piton. While Anse des Pitons was created by the luxury hotels in the immediate area by importing sand from Guyana, all beaches in Saint Lucia are public by law, so don’t be shy in paying a visit to this special place. The beach bar here does food in addition to its main trade in pedaling drinks, and in case you get bored of the beach, hot springs and outstanding jungle trekking await you in Saint Lucia’s interior. If you’d rather get away from all that Christmas nonsense over the holidays, then spending two weeks in a place like Sharm el Sheikh in Egypt will do the trick nicely. The arid nature of this Saharan region will virtually guarantee sunshine throughout your stay, while the crystalline water of the Red Sea makes for some of the best snorkeling and diving grounds in the world. Desert trekking with Bedouin guides will appeal to the adventurous, while those seeking more leisurely pursuits will enjoy cultural shows that feature belly dancing among other attractions. Want to really get off the beaten track this Christmas? Then planning a beach holiday in The Gambia will amaze those that ask about your holiday season in January. Located in a part of West Africa that is safe, sanitary, and with a long history of serving the tourist trade, you will gain the benefit of engaging with a culture completely different from your own on some days, while laying out and relaxing on virtually deserted beaches on others.